At checkout, your customers can enter their discount code. 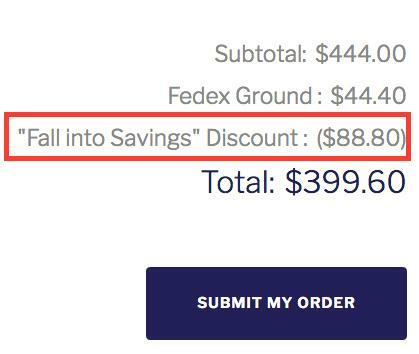 The discount code box will ONLY display if there is an ACTIVE discount code. 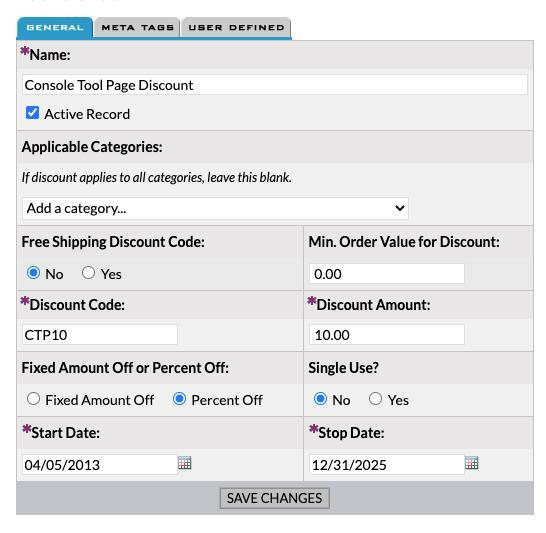 The Discount Tool provides a lot of different options to meet virtually all common discounting needs. Discount clearly displays in their checkout and order confirmation email. You can create an unlimited number of discounts for your on-line sales. Discount codes can be for a specific customer or for all customers. Start and stop dates automatically ensure your discounts are being offered at the appropriate time. 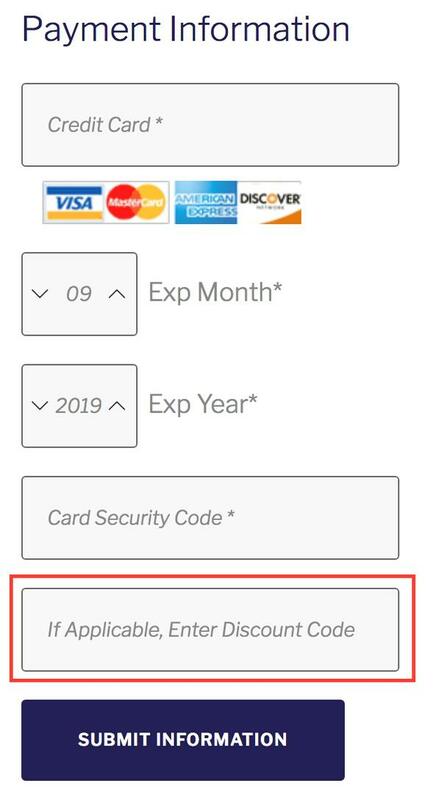 If a site customer enters a discount code that is not active or is not within the valid date range, a message such as "The code you entered is not valid. Please try again," will appear. When the customer is ready to check out, they will be able to view the discount prior to completing the transaction. 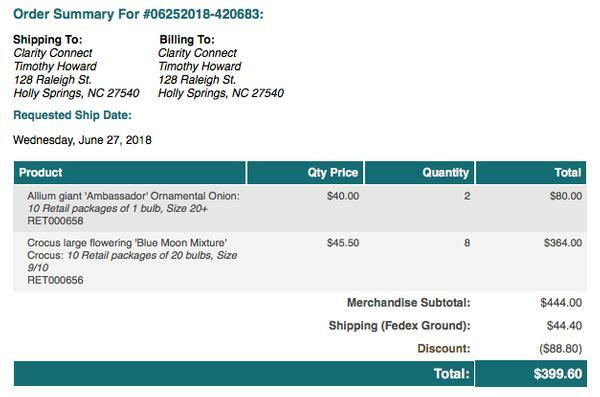 The discount also is shown at the order level in the store manager and prints on the packing list. If you use the 'percentage' (vs. fixed amount) discount, it will be applied to the order subtotal before shipping and taxes. To see where you enter the discount code, you will need to add an item to your cart and proceed with checkout. You will be able to cancel the purchase prior to it charging your card. If you would like a complete demonstration of this tool, please call us at (919) 577-9901. You can save 10% off your order of Coroplast or Vinyl by using 'CTP10' as your discount code when checking out.